Would stumpage reform help end the softwood lumber war? Would stumpage reform help end the softwood lumber war? CD Howe researcher Benjamin Dachis thinks it might “if cutting rights were auctioned to the highest bidder, which could include US companies”. Susan Yurkovich of the BC Lumber Trade Council thinks not, for reasons that include the fact that 20 percent of the AAC is already auctioned and those prices are used to set current rates. “This is really about protectionism… about constraining supply of Canadian lumber to push prices up“. A new report by the Pacific Institute for Climate Solutions says forestry could lead the way in meeting climate goals with “relatively small changes in the way timber is managed, harvested and processed“. Included in their recommendations: “divert a small percentage of fibre now going into short-lived products like paper and make more long-lasting products like lumber and cross laminated timber panels”. In related news, Stora Enso announced plans to invest in “new cross laminated timber production at their Gruvön mill in Sweden” and Swiss researchers are “combining wood and concrete into load-bearing products” where the volume of wood is over 50 percent. And finally, if you’re looking for the fountain of youth, student researchers at Yukon College in Whitehorse were awarded $60,000 to develop a line of facial care products “made with compounds found in birch sap”. Would stumpage reform help end Canada’s interminable softwood lumber war with U.S.? Last week, as expected, the U.S. Department of Commerce levied preliminary anti-dumping duties, averaging 7%, on Canadian softwood lumber exports. …But a better, more permanent solution would be to address U.S. grievances by reforming B.C.’s stumpage system, said Benjamin Dachis, associate director of research at the C.D. Howe Institute think tank. The central grievance against Canada’s forest industry is that it is subsidized through the stumpage rates charged to harvest Crown timber – rates that the U.S. argues are artificially below market values. In a brief to federal and provincial ministers of forestry and trade, Dachis recommends moving from a flat stumpage fee to an auction system and a tax on profits. …“[With] companies … making massive amounts of profit because we are undercharging on our stumpage fees, we want to make sure that we, as taxpayers, get our fair share of that total amount,” Dachis told Business in Vancouver. Investors of Canfor Corporation have done very well for themselves over the past year, with the price of the forest products company’s shares increasing more than 50% over that time frame. With such a rapid increase in this company’s share price, many investors are wondering if now may be the time to take money off the table. It appears that this may be the case, given recent news and analysis on Canfor’s profitability moving forward. The street consensus for Canfor’s 2017 Q2 earnings is not good – a number of analysts covering this stock have pegged Canfor’s second quarter earnings at approximately half of the company’s second quarter earnings last year due to a number of pervasive headwinds which have remained strong of late. Premier-designate John Horgan… has hired Central 1 Credit Union CEO Don Wright to serve as deputy minister to the premier, the top bureaucrat in charge of the public service. …A former executive with Weldwood Canada and president of BCIT, Wright served as deputy forests minister in the first two years of former premier Gordon Campbell’s B.C. Liberal government and also served as a deputy minister in Saskatchewan. Victoria-Beacon Hill MLA Carole James, spokesperson for the government transition team, said Wright’s experience with the forest industry is important as B.C. deals with the latest lumber trade dispute with the U.S. …Wright resigned his job as president of BCIT in 2013, anticipating a similar appointment from then-NDP leader Adrian Dix, before Christy Clark and the B.C. Liberals won a majority government in that election. Crews are battling a fire at a Surrey sawmill on Tuesday evening. Officials said a chip pile on the property at 176 Street caught fire just before 6 p.m. Crews estimate the pile is a quarter-acre in size. Surrey Fire said the flames are under control and no buildings are at risk. There were no reports of injuries. The cause of the fire is still unknown. [This is the end of the story – but a source told the Frog that the fire was at the Teal Jones mill where a bird had a run in with power lines – but all is under control]. Victoria, BC – PRT Growing Services Ltd. (PRT) is pleased to announce it has reached an agreement with the ownership group of Skimikin Nursery Ltd to acquire the company, effective July 1, 2017. Skimikin Nursery is located in Tappen BC, approximately one hour north of PRT’s three other BC Okanagan region nurseries. Skimikin was first established as a BC Ministry of Forests (BC MoF) nursery in 1977. In 2002, the current ownership group purchased the nursery and has operated it successfully since. Skimikin’s excellent team has a built solid reputation in both forest seedling growing and customer service. The nursery is comprised of a 100 acre (40 ha) site with approximately 260,000 square feet of greenhouse facilities and approximately 196,000 square feet of open compound growing space. 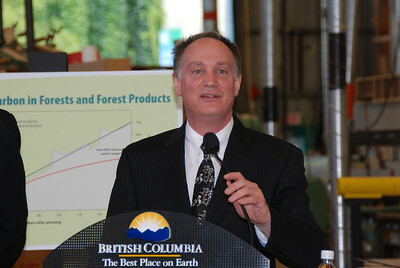 Skimikin’s customer base comprises both forest industry customers and the BC Ministry of Forests. Coastal forestry in British Columbia is known worldwide as a leader in sustainable forest management. We are a foundational sector that supports our strong, provincial economy. Our sector’s companies are advancing the innovation of new products and technologies. These companies directly provide middle class, family-supporting jobs in coastal communities which, in turn, support jobs in sectors of all types in the streets, stores and high rises of the vibrant cities of Vancouver and Victoria. …Today, Coast Forest joins the rest of the province in welcoming our new incoming Premier-designate and government to Victoria. This comes after an unprecedented period in British Columbian politics marred by uncertainty and instability. It also follows an especially difficult time as we face other serious challenges – here at home and on the international front. B.C.’s incoming NDP government has named some of the key players in the transition team that will help it form government. …Don Wright, who announced in May that he would step down as CEO of Central 1 Credit Union, will take the position of deputy minister of executive council, cabinet secretary and head of the public service. …Wright served as president of the B.C. Institute of Technology before taking the helm of Central 1 in 2014. He was deputy minister of B.C.’s Forestry and Education ministries, and secretary to B.C.’s Treasury Board. He has served as vice-president of forestry, environment and corporate affairs for forest company Weldwood of Canada. Wright also acted as chief negotiator for the province in the softwood lumber negotiations with the United States and commissioner to review collective bargaining for teachers in B.C. Could Bond rhyme with orange? In 2006, David Emerson was re-elected as the Liberal Member of Parliament for Vancouver Kingsway. The former Canfor CEO first won the riding in 2004 and was promptly named industry minister by Prime Minister Paul Martin. The problem with 2006 was that Stephen Harper and his Conservatives won a minority government and Emerson was set to move to the opposition benches. Except he didn’t. …His answer stunned the Liberals and the people of his riding when he showed up at the swearing-in of Harper’s cabinet. …Emerson made an immediate impact. Less than three months later, Canada had a new softwood lumber deal with the United States. Eleven years later and Prince George and the Central Interior finds itself with no representation in the provincial legislature, much like Vancouver after the 2006 federal election. …For the good of the Prince George region, shouldn’t one of the Liberal MLAs volunteer to sit in Horgan’s cabinet? German-based Klausner Holding USA announced five years ago it planned to build a lumber mill in Orangeburg County. Company officials at the time anticipated breaking ground in 2014. The summer of 2017 has arrived and construction has not begun. Orangeburg County Development Commission Executive Director Gregg Robinson declined comment on the project, citing confidentiality as it relates to economic development projects. OCDC Chairman Kenneth Middleton directed all questions to Robinson. Phone calls and emails sent to Klausner President of International Business Development Thomas Mende were not returned. The union representing workers at Victoria’s Heyfield sawmill says it will fight to increase the native timber supply after the Andrews government bought the business for more than $40m on Monday. The Construction, Forestry, Mining and Energy Union national president, Jane Calvert, said the government’s in-principle agreement to buy the mill from the Hermal Group had removed the threat of forced redundancies, which Hermal was scheduled to begin in August with a view to closing the mill by 2018. But she said the future of the mill depended on the long-term security of its timber supply, which was reduced by almost half in January by state-owned VicForests in response to environmental pressures on the central highlands mountain ash forests. Stora Enso has decided to invest Euro 45 million in a new production unit for cross laminated timber in connection with its Gruvön mill in Sweden. The production is scheduled to begin during the 1Q 2019, as the company says in the press release received by Lesprom Network. The estimated yearly capacity of the production line will be approximately 100,000 cubic metres after ramp-up, subject to required approvals being in place. …The green field investment is made as an extension of the existing Gruvön sawmill. The construction is expected to start by the end of 4Q 2017. After years of debate, the Payson Town Council is expected to adopt a watered down version of the Firewise code Thursday. For years, the Payson Fire Department has presented the council with various forms of the International Wildland-Urban Interface (WUI) Code for adoption, each time amending it to fit the community. …Those recommendations are reflected in 2.5 pages of code changes, which deal mostly with cleaning up yards, removing branches overhanging a home, among other changes. …On new home construction, ventilation openings must be covered with quarter-inch metal mesh. This will keep embers from wafting into attics. The new code would require covering on the space between the roof covering and roof decking. 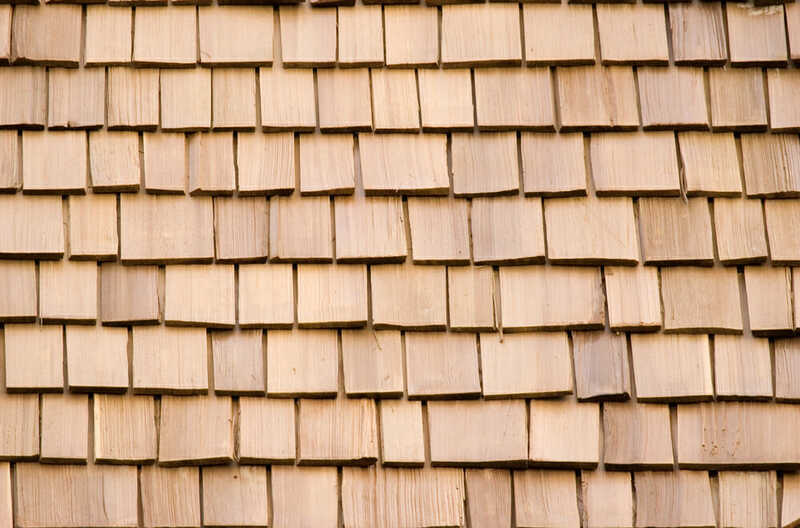 Finally, the new code would bar wood shake shingles. The healing powers of nature have been put to good use in the recently completed Maggie’s Oldham. 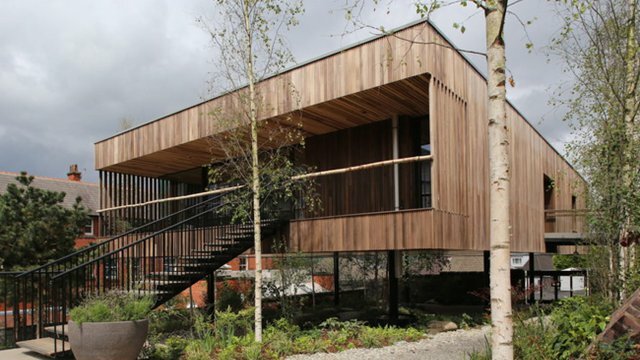 London-based architecture studio dRMM completed the cross-laminated timber building, one of the United Kingdom’s many Maggie’s Centers that provide free practical, emotional and social support for people with cancer, reports Inhabitat. …The architects write: “In wood there is hope and warmth, its use at Maggie’s Oldham is part of a bigger design intention to reverse the norms of hospital architecture, where institutionalized environments can leave patients dispirited.” …The use of timber, rather than cold metal, complements the greenery and gives the building a sense of warmth. Wood fiber insulation is used for a breathable healthy environment. Houses can be made of wood, as they were in the past – or of concrete, as they are today. To build for tomorrow, the two building methods are being combined: These hybrid structures, which contain both wood and concrete elements, are becoming increasingly popular in contemporary architecture. In the context of the National Resource Programme “Resource Wood” (NRP 66), Swiss researchers have now developed an even more radical approach to combining wood and concrete. They are fabricating a load-bearing concrete which itself consists largely of wood. 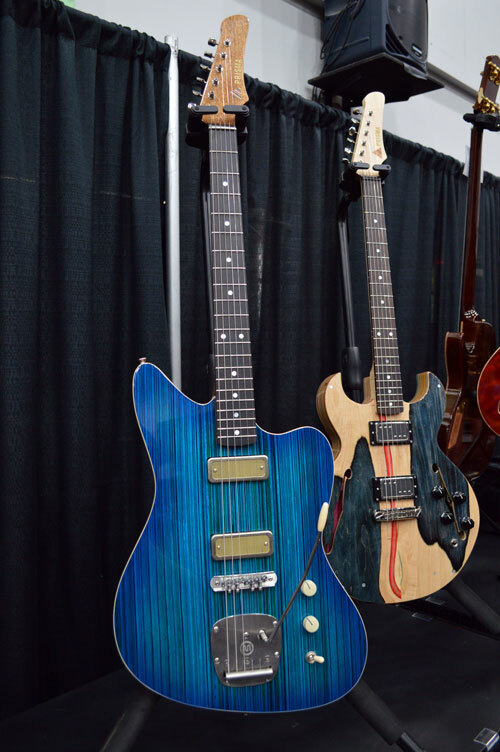 In many blends, the volume fraction of the wood is over 50 percent. Cement-bonded wood products have been around for more than a hundred years. Yet previously, they were used only for non-load-bearing purposes, such as insulation. VICTORIA – The Forest Practices Board will examine the activities of 0866740 B.C. Ltd., held by Aspen Planers Ltd., on forest licence A18700 during the week of July 10, 2017. Auditors will examine whether harvesting, roads, silviculture, fire protection and associated planning, carried out between July 2015 and July 2017, met the requirements of the Forest and Range Practices Act and the Wildfire Act. 0866740 B.C. Ltd. is in the Cascades Natural Resource District. The area of the audit is located west of Lillooet and includes Carpenter Lake and Bridge River. Some of the surrounding communities are Bralorne and Gold Bridge. Once the audit work is complete, a report will be prepared, and any party that may be adversely affected by the audit findings will have a chance to respond. The board’s final report and recommendations then will be released to the public and government. A typical farmer must wait a year or two to see how a new crop variety works out. Imagine if the crop was trees. An experiment with Ponderosa pine trees has run more than a generation and turned up some unplanned results. Saplings planted for their potential to grow the fastest, straightest timber turned out poorly prepared to survive a mountain pine beetle epidemic. “Few people have 40 years of data, or opportunity to have a strong event like the pine beetle outbreak show up in the middle,” said University of Montana biology professor Anna Sala, lead author of a study in the Proceedings of the National Academy of Sciences. “That gave us the opportunity to ask a general question. Do faster-growing families suffer more mortality from bark beetle? The answer is yes.” Sala specializes in physiological ecology, examining the features of plants and trees and evaluating the cost and benefit of each feature for survival. 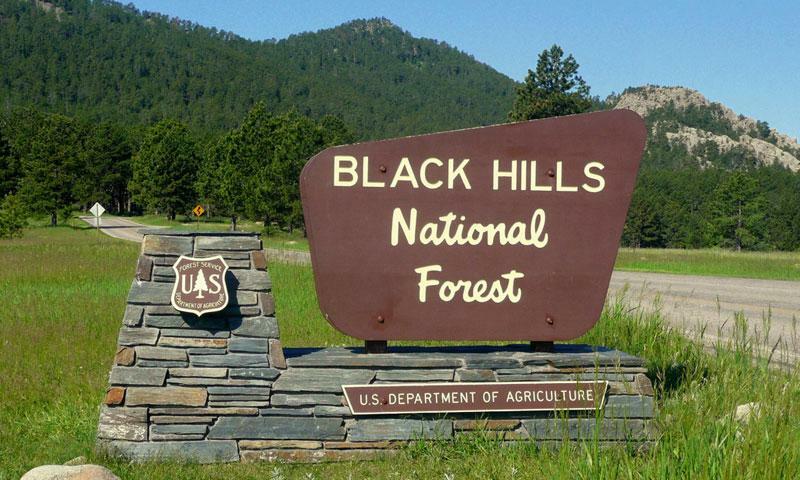 The Black Hills National Forest is seeking nominations for positions on the Black Hills National Forest Advisory Board. The board was established in 2003 to provide advice and recommendations on a broad range of forest issues. The committee is comprised of 16 members representing sectors of economic development, outdoor recreation, energy and mineral development, the timber industry, local and national environmental organizations and sportsmen’s groups and state, tribal, county and local and natural resource agency officials. SWANNANOA – Western North Carolina’s forests are having a midlife crisis. Emerging from a bad past, forests are caught in a middle age limbo, with very little early succession, or young forest — important habitat for deer, turkey, birds and other wildlife — and very little old growth forest, also needed for wildlife, as well as for clean water, healthy soils and carbon sequestration, important in mitigating climate change. Private forest landowners also get caught in the conundrum: how to keep their forests healthy while deriving income. Should they log, open for hiking trails or mushroom foraging, or develop luxury home sites? Enter EcoForesters. 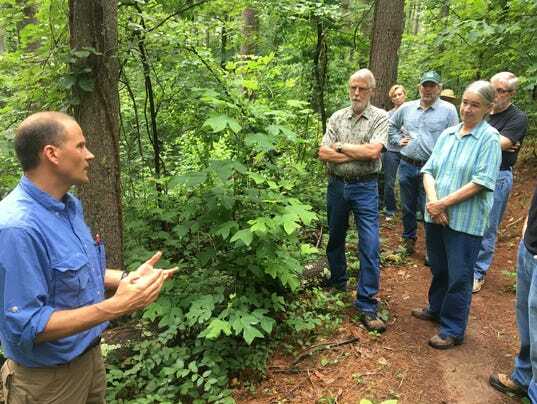 The recently established Asheville nonprofit works with private forest owners to manage their property for forest health and sustainability, while also making some money. The GE Free NZ press release Alarm Bells Ring Over Threat of GE Trees published yesterday on Scoop (as below) makes a number of statements that are factually incorrect with regard to ArborGen and its business.The GE Free NZ press release “Alarm Bells Ring Over Threat of GE Trees” published yesterday on Scoop (as below) makes a number of statements that are factually incorrect with regard to ArborGen and its business. ArborGen does not undertake any research into GE trees in New Zealand. A wildfire on Mount Manuel Quimper was partially contained by Tuesday afternoon, thanks to the efforts of Sooke firefighters and crews from the B.C. Wildfire Service and the Capital Regional District. No residences or other buildings in the area were threatened. Marg Drysdale of the Coastal Fire Centre said nine provincial crew members and two helicopters with water buckets were assisting Sooke Fire Rescue. She said the blaze appears to be a “rank two” fire, meaning there is smoking ground and a bit of open flame. Mount Manuel Quimper is a popular hiking destination in the Sooke Hills, just east of Sooke. For the second time in less than a week, the Penticton Community Centre’s gymnasium is receiving evacuees from a fire — this time dozens told to leave their Kaleden homes from a wildfire. The blaze, last pegged at around five hectares by B.C. Wildfire Service, has displaced dozens of people from at least 30 homes, though officials are still unclear at this time how many have been forced out. …Denis Gaudry said firefighters got a call to a tree that was on fire, but that quickly spread due to hot, dry conditions and a bit of wind. “The fire danger rating goes from one to five, five being the highest. It was five today,” Gaudry said. “You have the perfect mix for fire behaviour we have today.” Since then, Gaudry added that cooler conditions with more humidity and less wind at night has meant more of a downhill battle than previously trying to fight the fire. The B.C. Wildfire Service is reporting the fire on the eastern shores of Harrison Lake has grown to 115 hectares and that 20 more firefighters will be on site Tuesday morning. Fire Information Officer Noelle Kekula says the fire is five per cent contained, but believes crews could be battling it for a while. Kekula adds, “we’ve got steep terrain. We’ve got some unique winds and weather patterns with being right beside the lake and the terrain. So we’re just doing our best to get it under control.” A total of 80 firefighters, 6 helicopters and an air tanker are currently working the fire. A leave order is still in place for the surrounding areas and the forest service road, while crews continue to battle the to blaze. 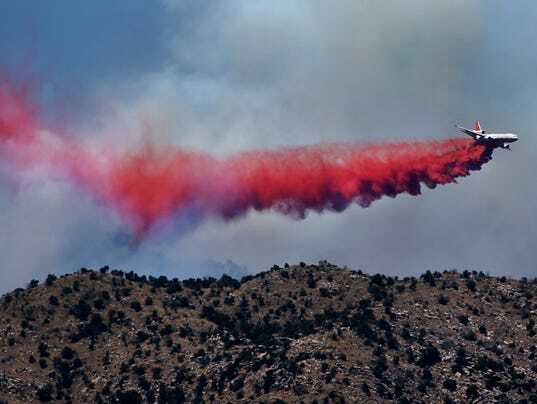 The wildfire burning a mile southwest of the town of Zortman has grown to approximately 1,000 acres in size, according to a Bureau of Land Management spokesman. 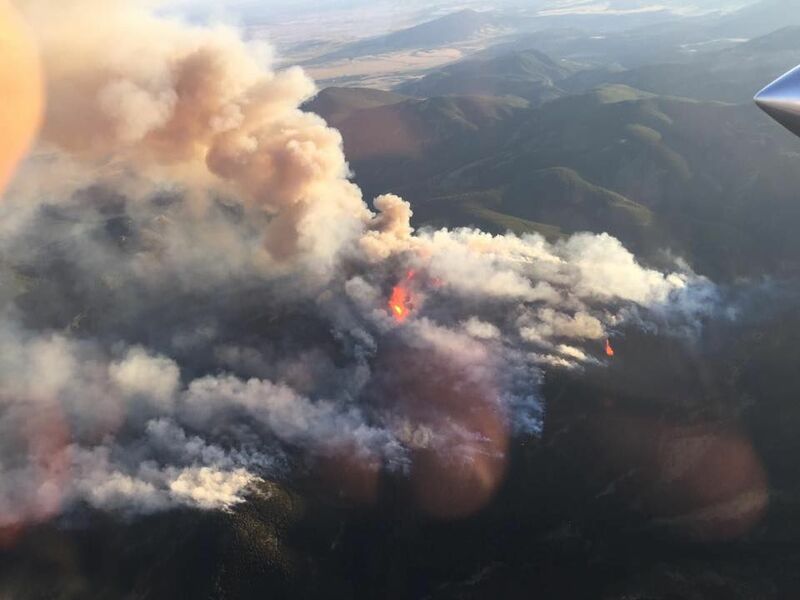 That number suggests the July Fire has grown by around 600 acres since it was estimated on Monday night to be zero percent contained and about 400 acres in size. No mandatory evacuations had been ordered as of Tuesday afternoon, according to the Phillips County Sheriff’s Office dispatch. Zortman has a population of about 70 and is near the southern border of the Fort Belknap Indian Reservation. Connell’s Western Montana Type 2 Incident Management Team has been ordered to manage the fire, according to the National Wildfire Coordinating Group website InciWeb. Albany County, Wyo. – U.S. Forest Service and Albany County fire personnel continue to fight a fire in the Snowy Range, Medicine Bow National Forest.As the fire grew it forced multiple evacuations and power has been cut to the area. As of Tuesday morning, the Keystone Fire was roughly estimated at 300 acres and there is no containment. The cause of the fire is still unknown and its’ origin is near Horse Creek and Forest Road 511. That location is 1.5 miles southwest of Rob Roy Reservoir, 1.5 miles northwest of the community of Keystone, and 2 miles south of the Rambler community. Fire season is at its peak, with 21 wildland fires currently active across the state. Almost 190,000 acres of land has burned from these fires alone, according to recent updates from federal and state authorities. That’s roughly one-third of the size of Maricopa County, or roughly, 60 percent of the size of Phoenix. Here are a few facts about Arizona wildfires that you need to know. The Coronado National Forest southeast of Tucson has been a particular hot spot, with more than 83,000 acres burned in five continuing fires. A lightning strike ignited the largest of these, the Frye Fire, which started June 7 and has grown to 46,074 acres. Its perimeter is about 45 percent contained. Communities on Mount Lemmon are being evacuated because of the Burro Fire, which has grown to 14,000 acres. B.C.’s forest sector has the potential to make a massive contribution to meeting provincial greenhouse gas targets if even relatively small changes are made in the way timber is managed, harvested and processed. That’s the conclusion drawn from the latest research by the Forest Carbon Management Project, a multi-year, multi-agency initiative conducted under the umbrella of the Pacific Institute for Climate Solutions. The research shows that the forest sector could account for 35% of British Columbia’s legislated goal of reducing greenhouse gas emissions to 80% below 2007 levels by 2050. Scientists presented a portfolio of options for reaching the target at a series of seminars held throughout the province during May and June. Researchers began by examining carbon uptake in each of B.C.’s 74 varied forest management units. Then they looked at the role manufacturing plays in storing that carbon in wood products and used the combined data to develop a portfolio of regional options. India has broken its own world record by planting 66 million trees in just 12 hours, according to a Government official, in a bid to honour a pledge made at the Paris Climate Change Conference. 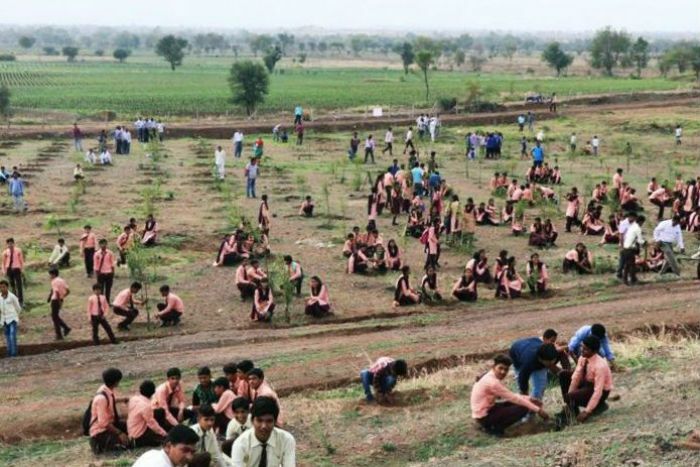 More than 1.5 million volunteers turned out on Sunday between 7am and 7pm to plant the massive number of tree saplings along the Narmada River in the state of Madhya Pradesh. State Chief Minister Shivraj Singh Chouhan announced the new record on Twitter. In 2016, India set the previous record when it planted more than 50 million trees in one day at more than 6,000 locations across the state of Uttar Pradesh. Guinness World Records’ adjudicators reportedly monitored Sunday’s plantation and are expected to confirm the new record in the coming weeks.